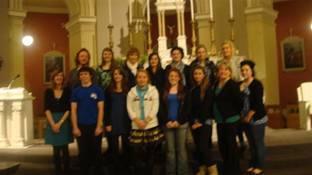 The Gallery Choir was formed to help serve the spiritual needs, particularly of teenagers and young adults. Every one is welcome to this Mass. In our Parish, the choir sings at the 6.15pm Mass on Sundays from September to the end of June. The choir practices every Sunday at 5pm.